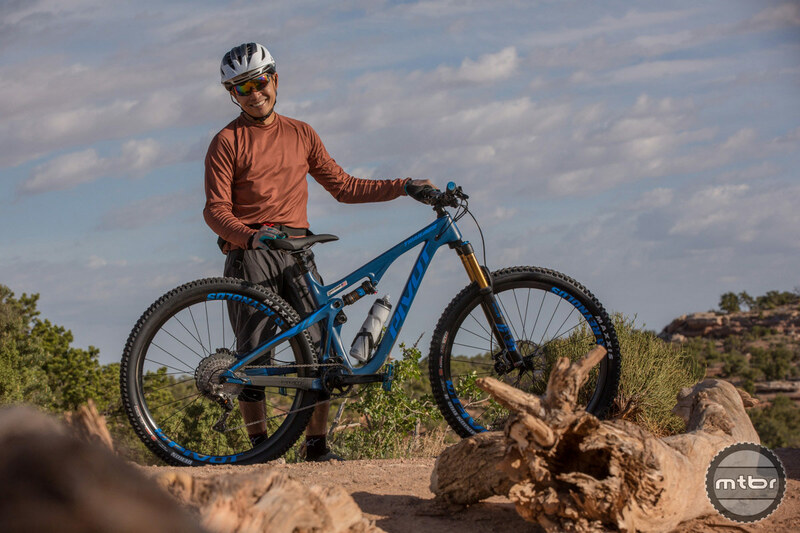 The Pivot Trail 429 is the revamped version of Pivot’s sweet spot trail bike with enough travel to go fast and play. 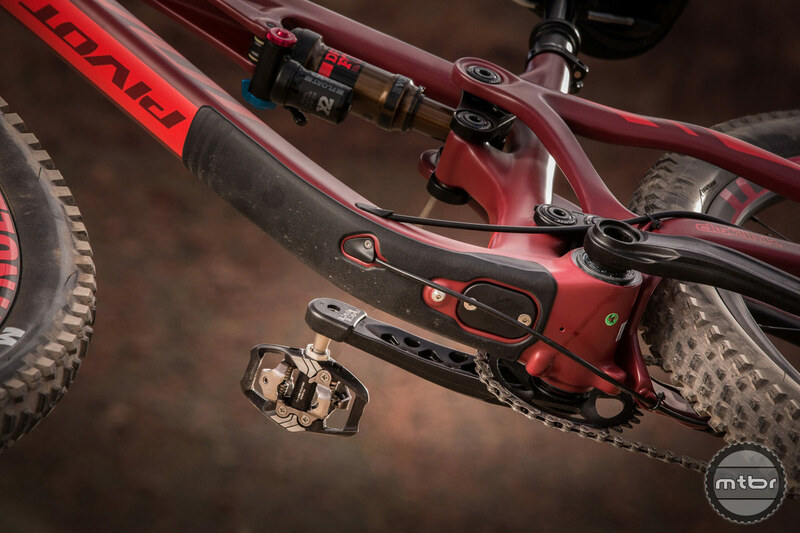 120mm of rear travel is matched up with 130mm front. 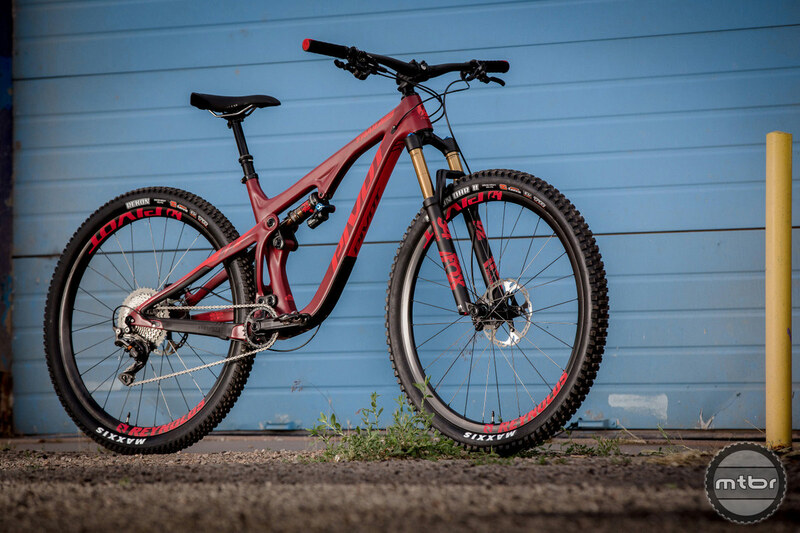 Quick accelerations is where this bike shines above bigger travel peers. 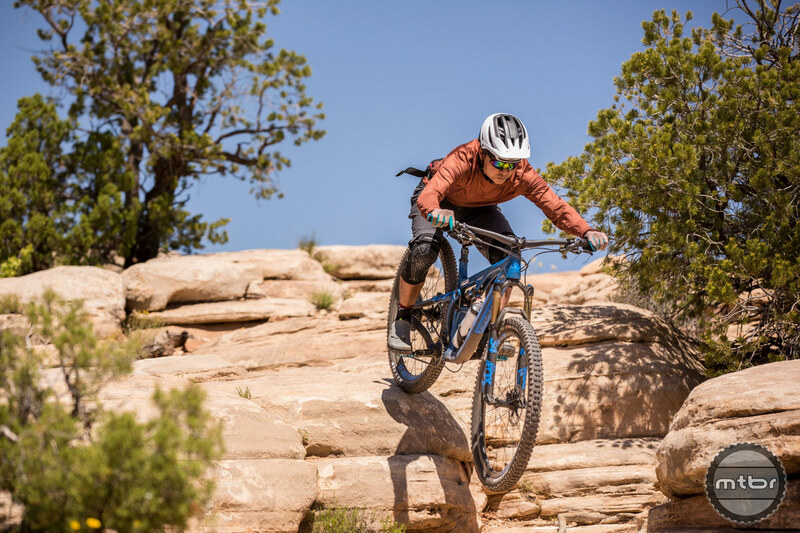 It features a laterally stiff carbon frame weighing in at 6.4 lbs surrounded by a package designed to be quick, agile and capable downhill. Travel is 120/130mm front but it can take a 140mm fork as well. 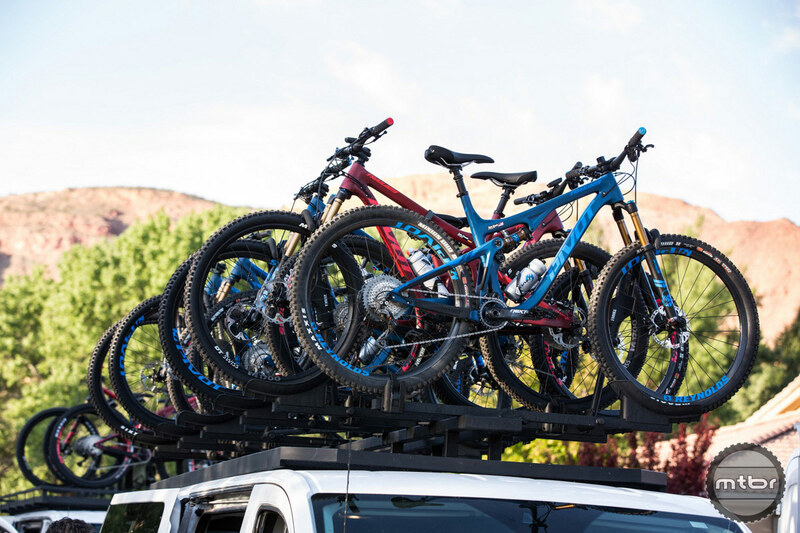 Plus wheels are available, just like the Switchblade with 27.5 x 2.8 packages. 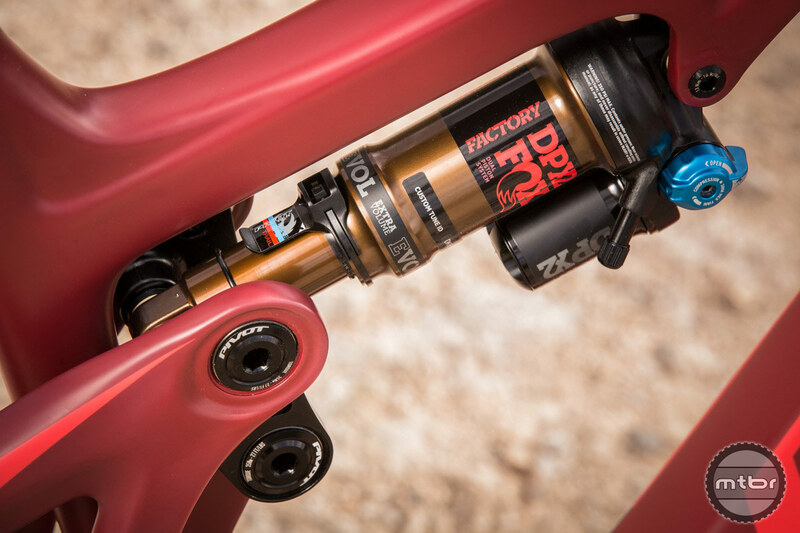 Also, 2.6 29er tires fit and DPS or DPX2 shocks are available. Build kits include Shimano 1×11 or Sram 1×12. 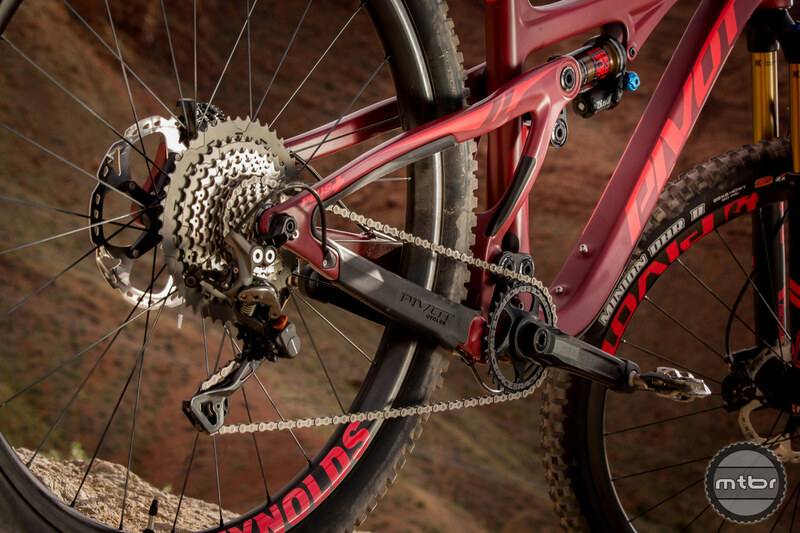 1x gearing only is a radical departure for Pivot on a Trail bike. It’s now Superboost+ equipped so it requires a 157mm rear hub and matching cranks. It’s no longer front derailleur compatible so 1x drivetrains ones can be used. 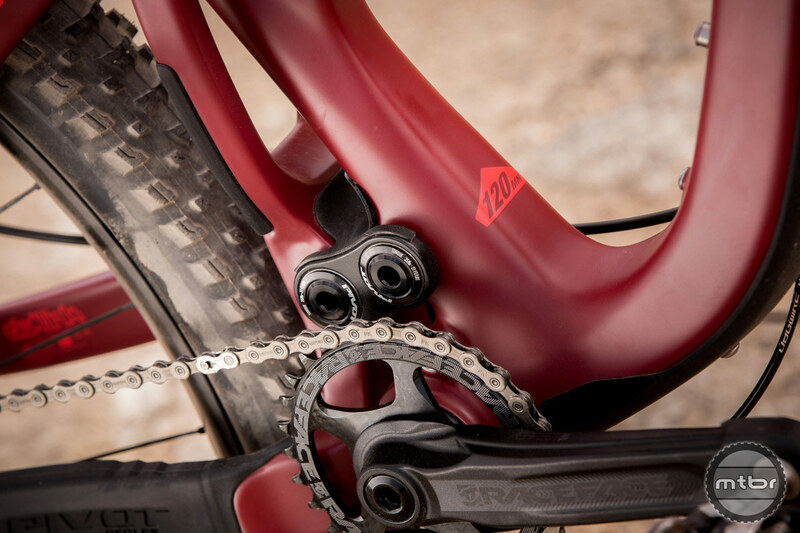 The outgoing 429 Trail did not suppor Shimano Di2 but the recent releases by Pivot have. This one does not support it as well although battery port exists since it’s a convenient way to access cables in the down tube. But there are no holes for the derailleur wires exiting the frame. A motivated owner can punch small holes in the frame to route Di2 cables. The bigger drops came and we learned to trust the bike. 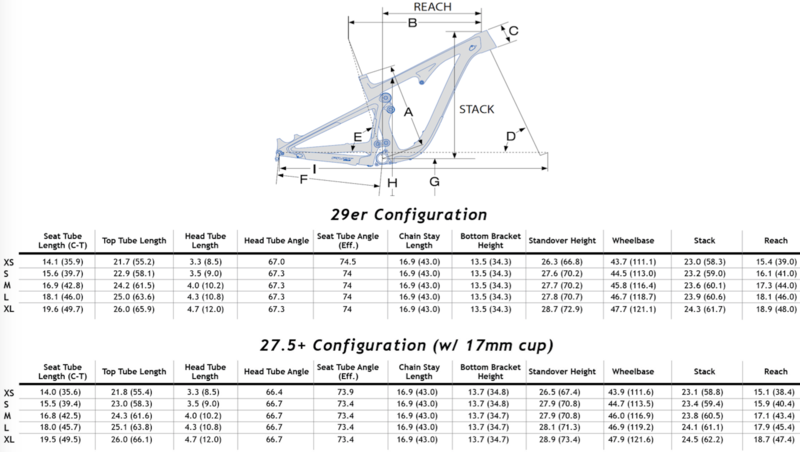 Geometry is 74 degrees seat tube mated with a 67.3 head tube complemented by a long reach of 440mm for a medium. 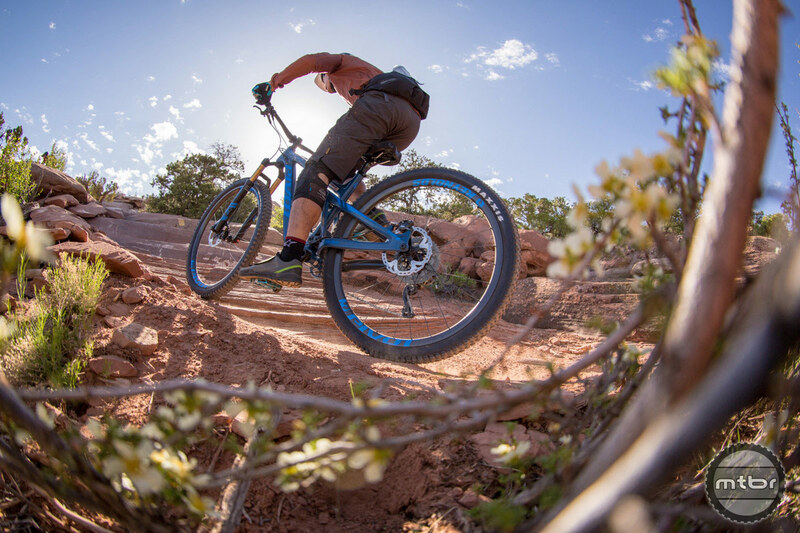 Chainstay length is a short 430mm with support for tires up to 2.6. BB height is 13.5 inches or 343 mm. Before we get too far into the tech and spec discussion, we wanted to take a moment to discuss how it actually rode. 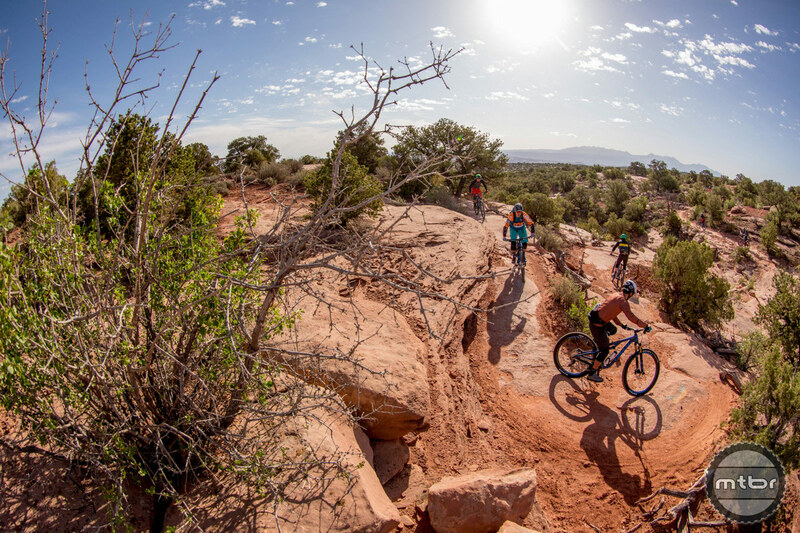 We got the opportunity to ride it in one of the most demanding and fun trails in Moab, UT, the Mag 7 to Portal trail. 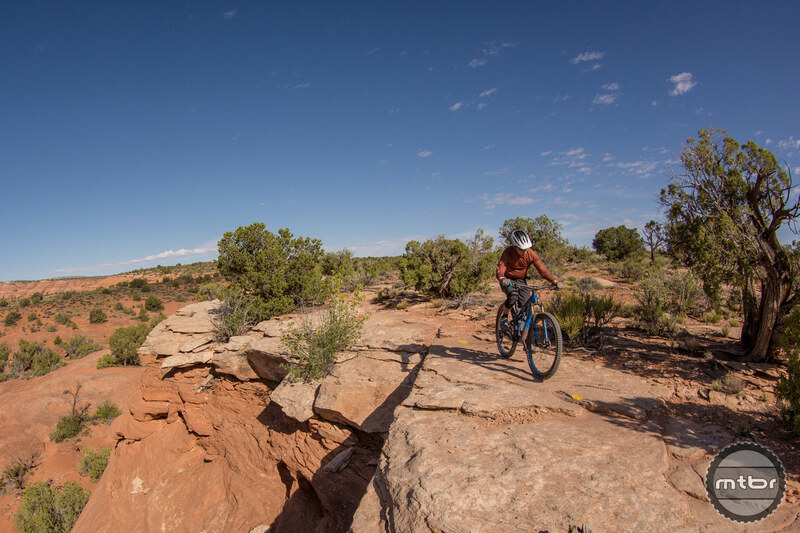 It’s a trail with a natural pump track playground on top of a rock Mesa. 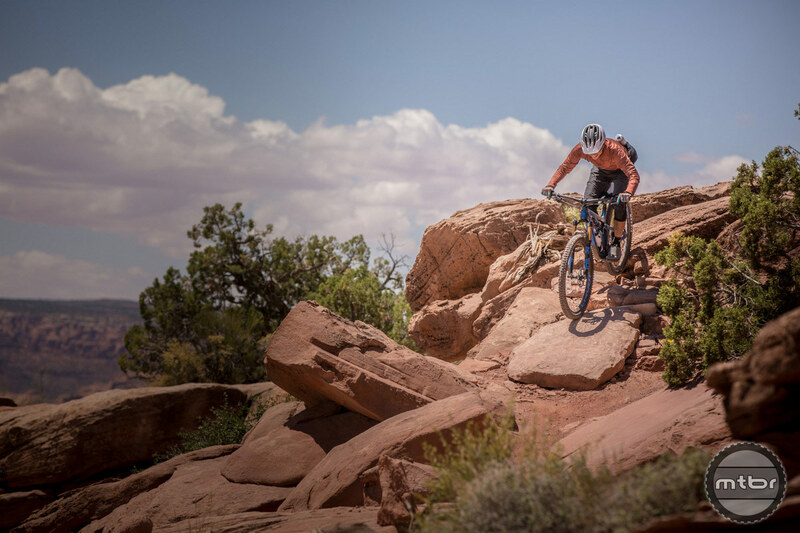 There are short technical and long climbs mixed in and it concludes with one of the most harrowing descent trails in Moab, the famed Portal trail. Mag 7 is a rider’s dream indeed. 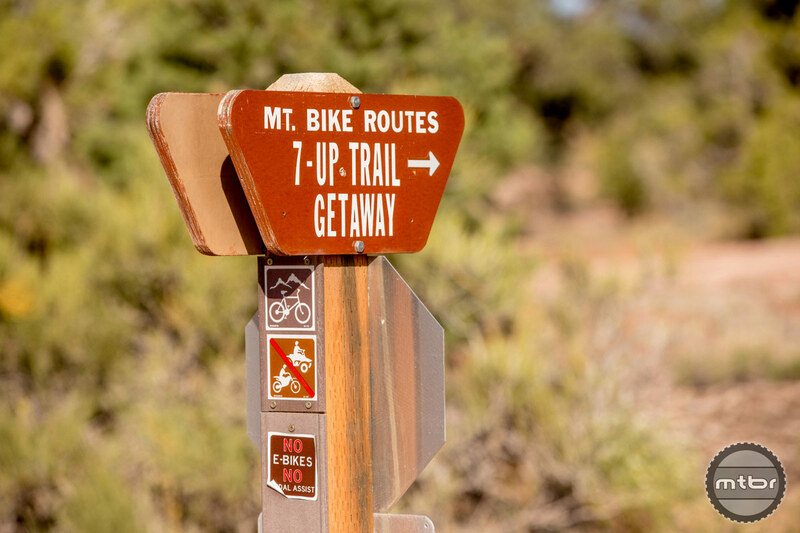 A 120mm bike would not be my first choice on this trail because of the endless, drops, steps and the closing highly technical trail. There’s just too many ways to hurt oneself if one runs out of talent or the bike runs out of travel. 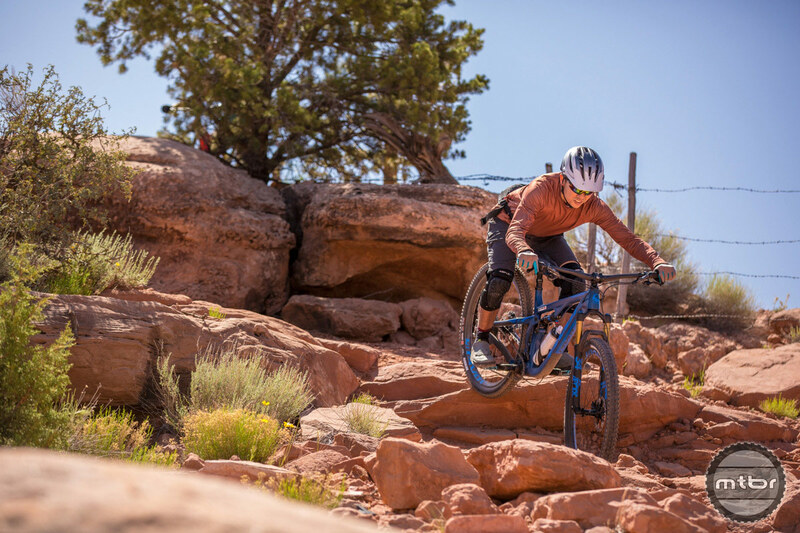 But the Pivot crew wanted to show us the broad sweet spot of the bike so we gladly donned our knee pads and played along. The rear DPS equipped suspension was active and responsive but it was not a supple pillow. In these conditions, the ride was engaging and communicative but it was demanding as well. Proper loading and unweighting of the suspension during the roughest parts as well as smooth line selection were key to its success. It was no tractor so one couldn’t mob the rocks and plow through them. Get the timing wrong and the bike sometimes stalled before clearing the rocky steps. 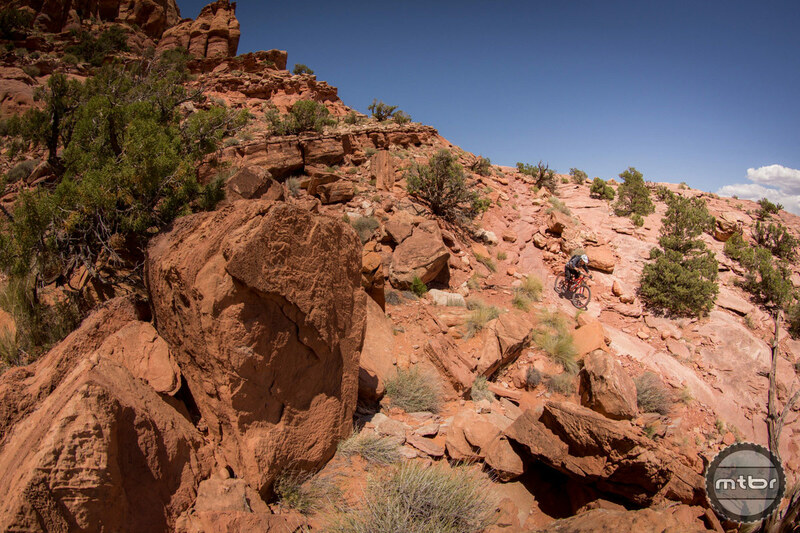 When it came to descending rock piles and drops though, the bike was quite able. One could feel the bumps more than the latest crop of long travel 29ers but this seemed to get through them quite well. We learned to trust in bigger and bigger drops and obstacles. The key was to become a more active participant and not just hang on for the ride. Proper preloading of the bike and popping up rocks was a great technique. Cornering, this bike really shined as it seemed very secure laterally. The bike tracked a line very well. The tire combination with a Maxxis Rekon rear and Maxxis DHR II front paid dividends as well with incredible front braking that allowed it stop securely or slow down early to set up for corners. It seemed to corner a lot like the Switchblade, holding a line and changing directions when the rider asks. The drops started coming and the bike was ready even though the rider wasn’t. 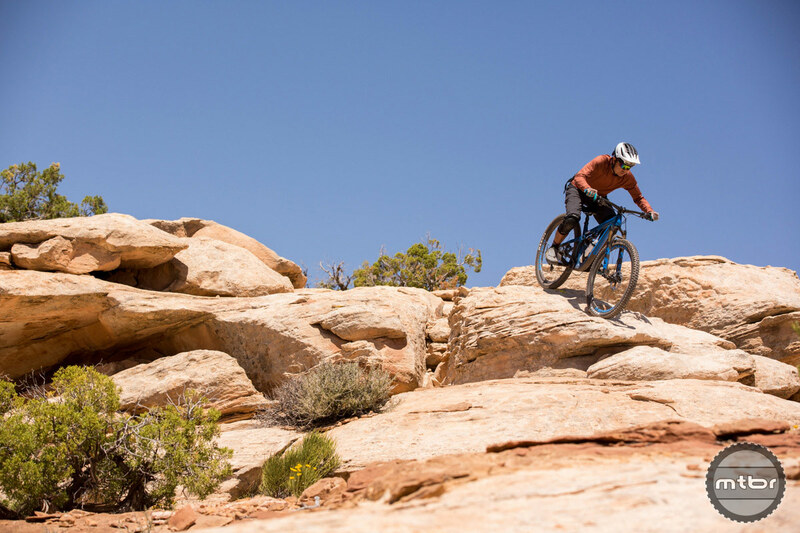 Climbing and accelerating, this bike excelled with quickness and agility. The benefits of a 120mm trail bike were demonstrated well here with enthusiastic acceleration out of corners and up punchy climbs. At the limit of its travel, the bike behaved well, it got stiff at the end of its rear travel but it was controlled near bottom out. 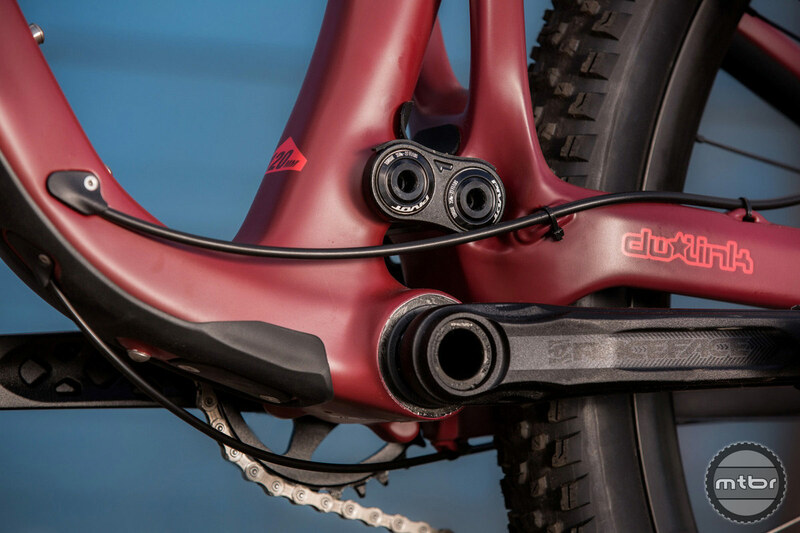 Adding volume spacers or opting for the DPX2 rear shock are great options for those that like to hang out in this realm of the rear travel. At the end of the grueling Mag 7 to Portal ride, everyone came out safe and uninjured. A little beat but with great stories and experiences with a more involved and ‘connected’ ride on this route. Two colors are available, Crimson and Steel Blue, both in satin finish. Both colors are incredibly attractive with dialed accents so we’d be hard-pressed to predict which one will be the more popular color. This is a departure from Pivot’s efforts that always seemed to include one variation of black. Or other companies would release a gaudy ‘cover shot’ color and a more subdued one, giving less practical options for the customer. This offering will give the customer two legitimate choices that will make selection more difficult but will make a lot more folks happy. 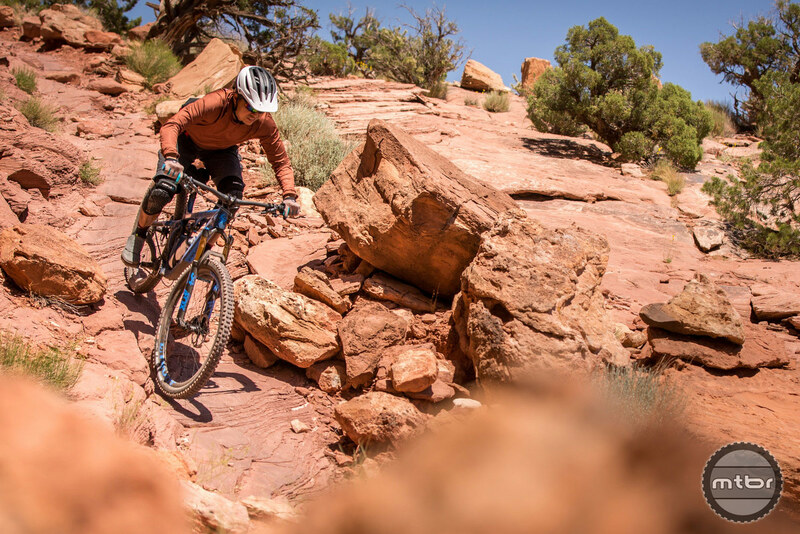 Trail bikes are what most people buy because they are ultimately what fulfills the needs of many who want to explore, play and go fast at times. 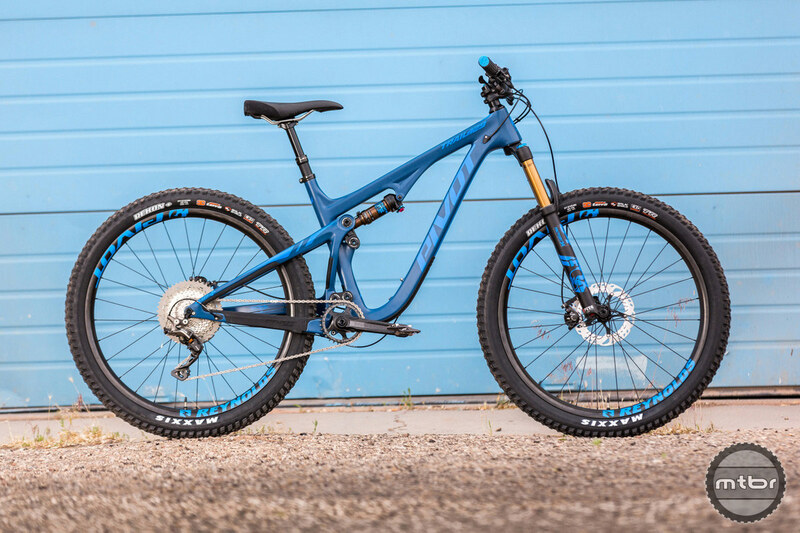 The new Trail 429 answers many, many calls not just in its base configuration which we rode (29er with DPS shock) but with its many available permutations. 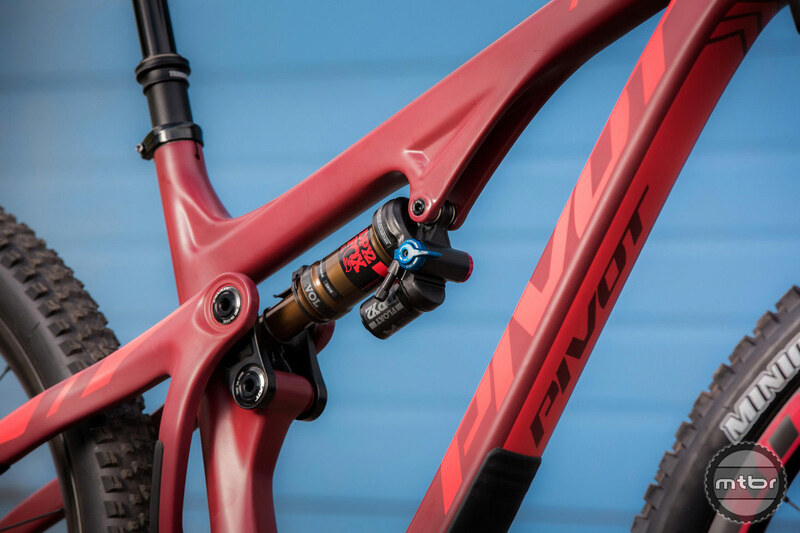 It can handle both 29er and 27.5+ wheels with a 17mm headset cup to adjust head angle and bb height. 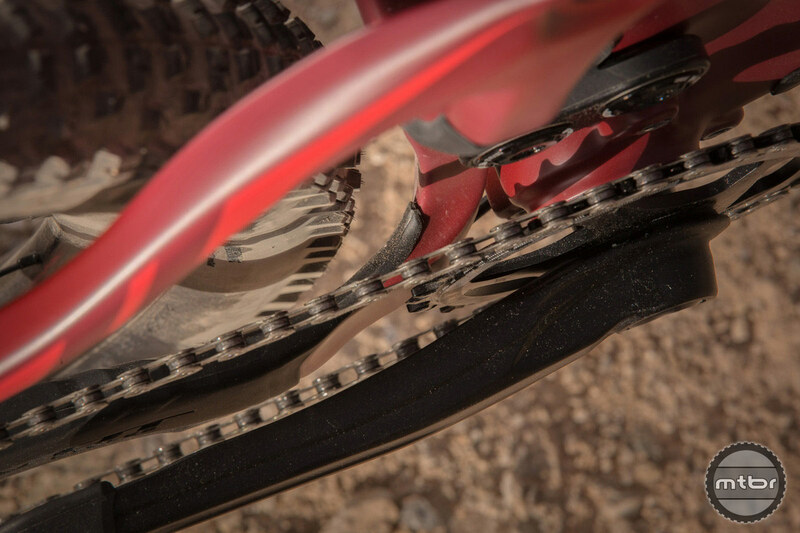 It can also take a DPS or DPX2 rear shock. And if the 130mm fork is not enough, a 140mm will not be a problem at all. Shimano 1×11 and Sram 1×12 will be available configurations as well to satisfy the needs of most. 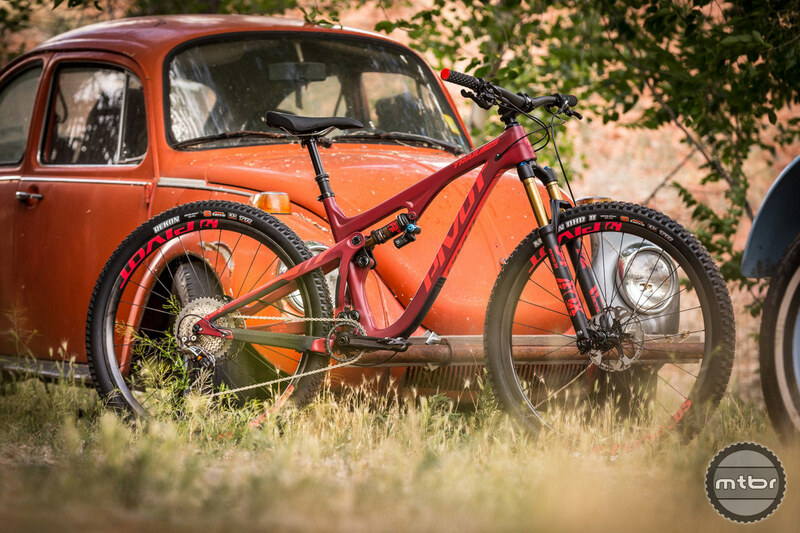 There is no aluminum frame option currently and Pivot did not sound optimistic about its release in the future. The cost savings over carbon are not substantial anymore because of volumes and the cost of developing an aluminum frame of this complexity. 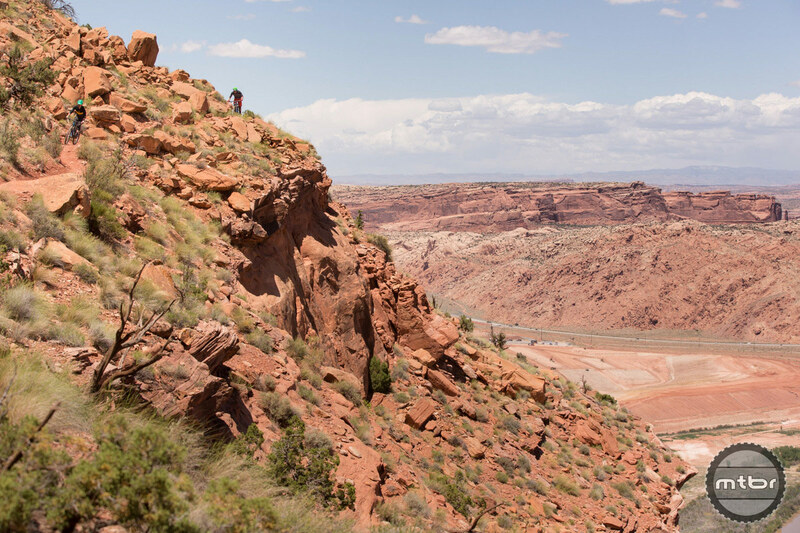 Premium trail quality and grand vistas are the norm. One unfortunate reality is there’s no frame-only option as well. 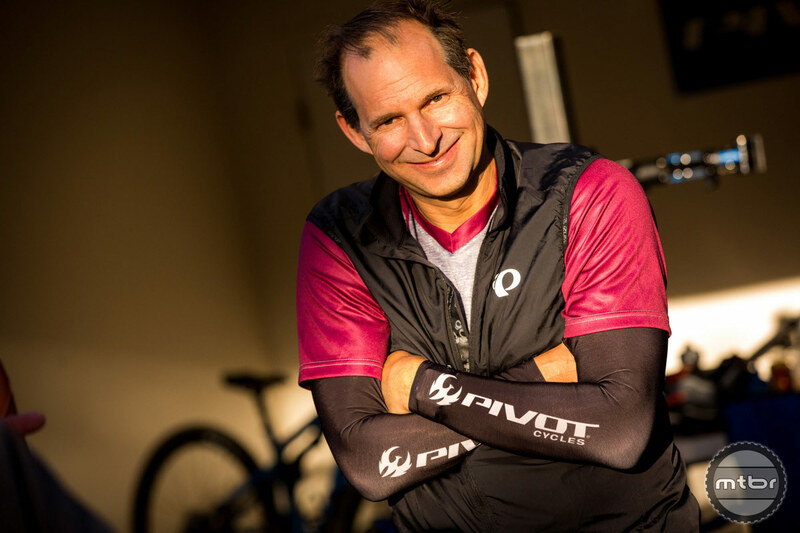 Because of the Superboost+ rear hub and crank and they’re limited availability in the aftermarket, Pivot wants to control the build kits to ensure the frames are built up with compatible components. 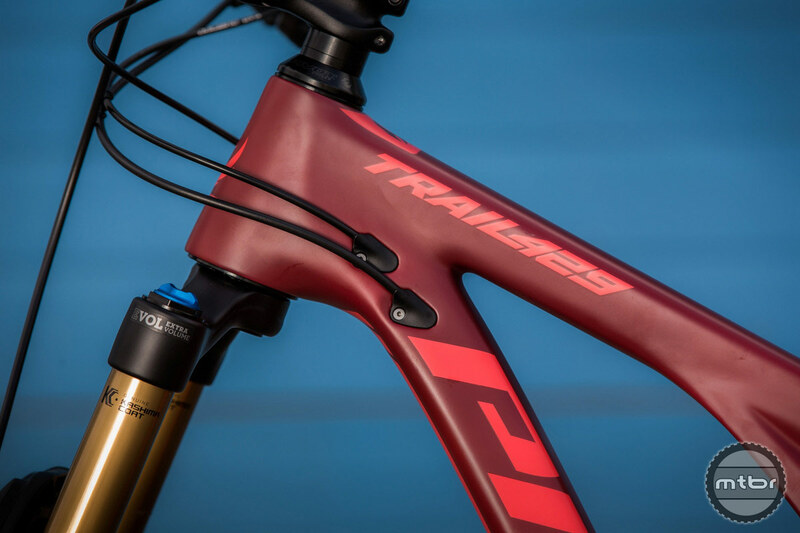 Certainly understandable but a very tough blow for those who want to customize the bike with their own components like wheels, bars, dropper, saddle, etc. But with Shimano and Sram build kits available and starting at $4700, most buyers will be pleased with the available choices. 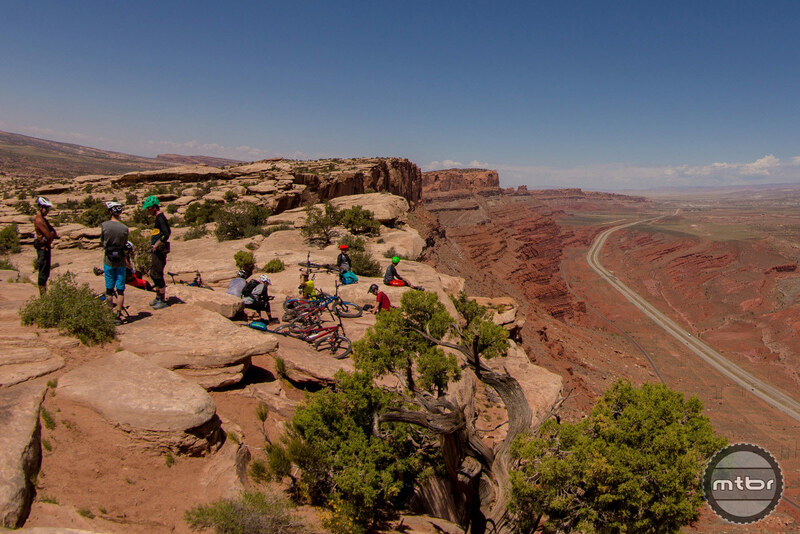 Shuttle rides are the bread and butter of Moab’s majestic routes. Shimano gearing on this but Sram 1×12 is available. This reveals how they tucked in the rear shock beneath the linkage. 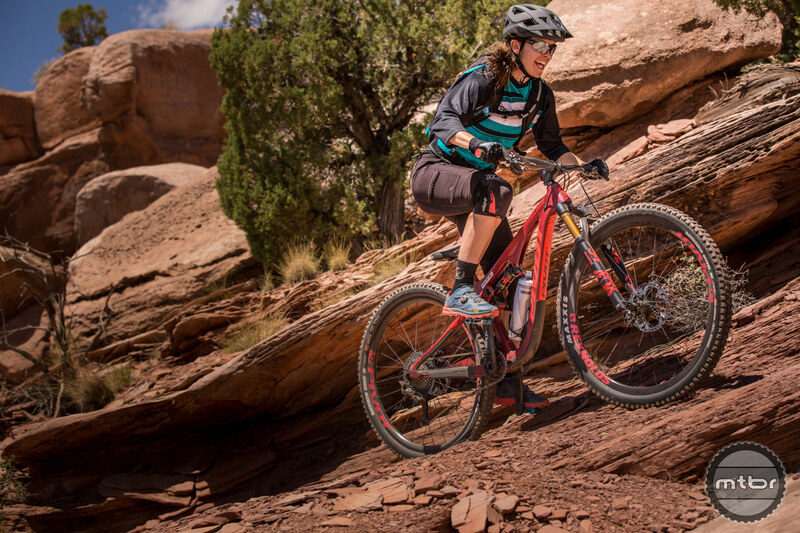 Tire clearance is 2.8 ready when using a smaller 27.5 wheel. 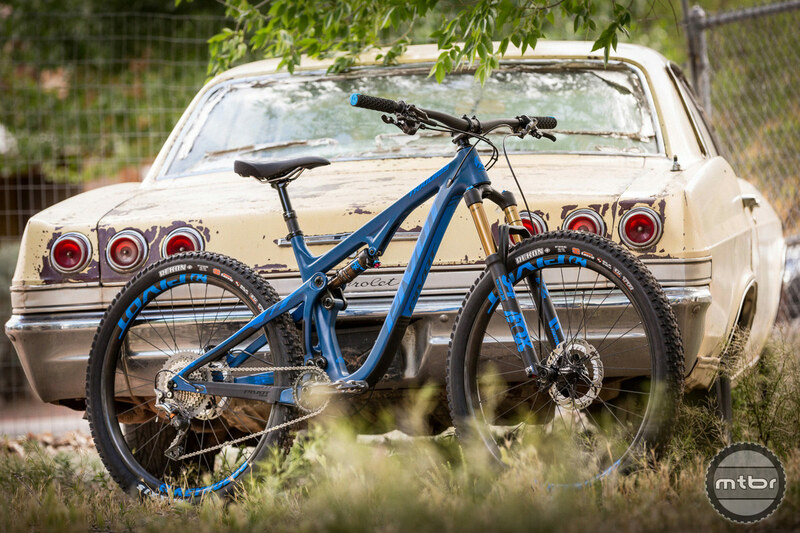 Frame armor is standard and dialed on this bike. Carving around corners was satisfactory. 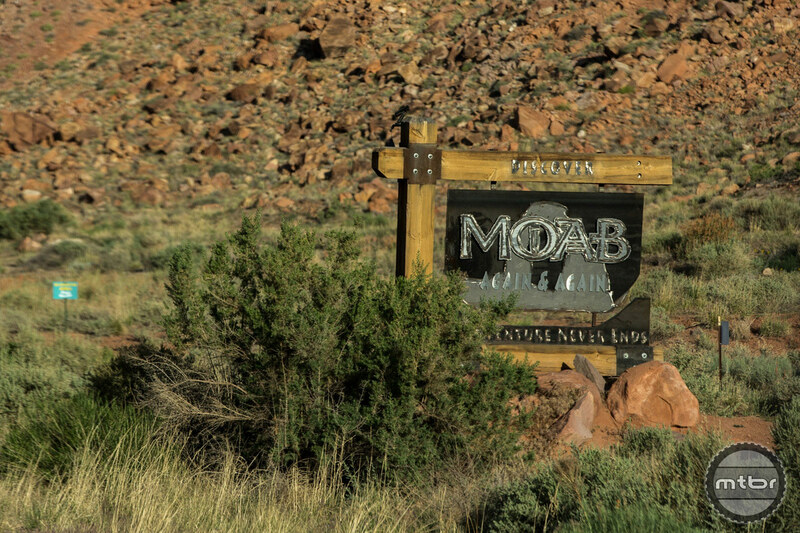 Look where you want to steer is easier said than done in Moab. 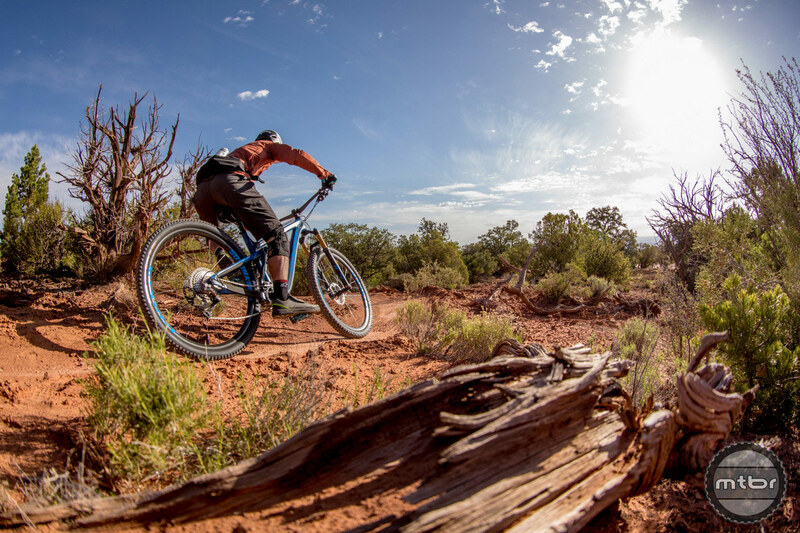 This bike on a technical trail requires more focus but delivers a involved experience. Line selection is key but this bike allows some options. 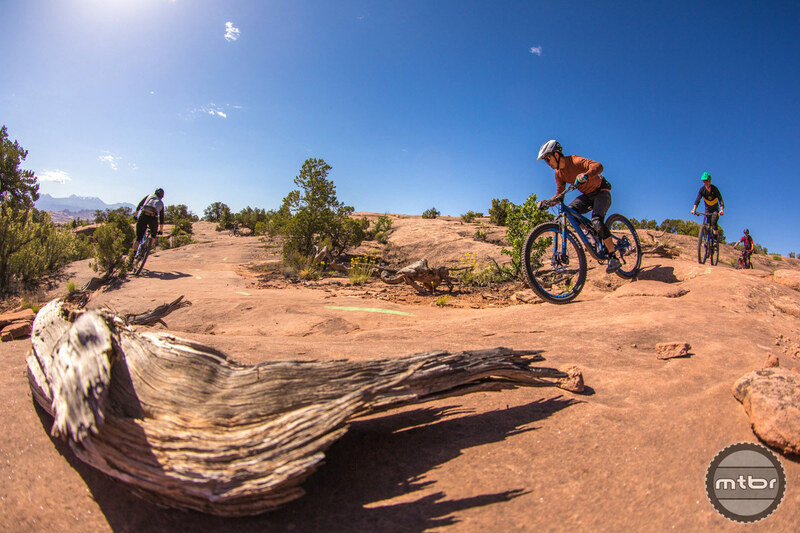 Taking this bike down Moab’s Portal trail was doable but jarring. 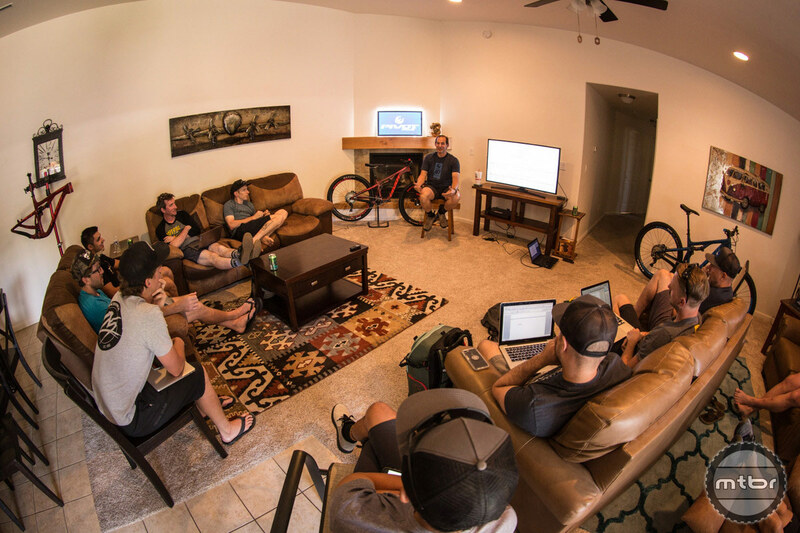 Chris Cocalis is one of the true visionaries of the bike industry. 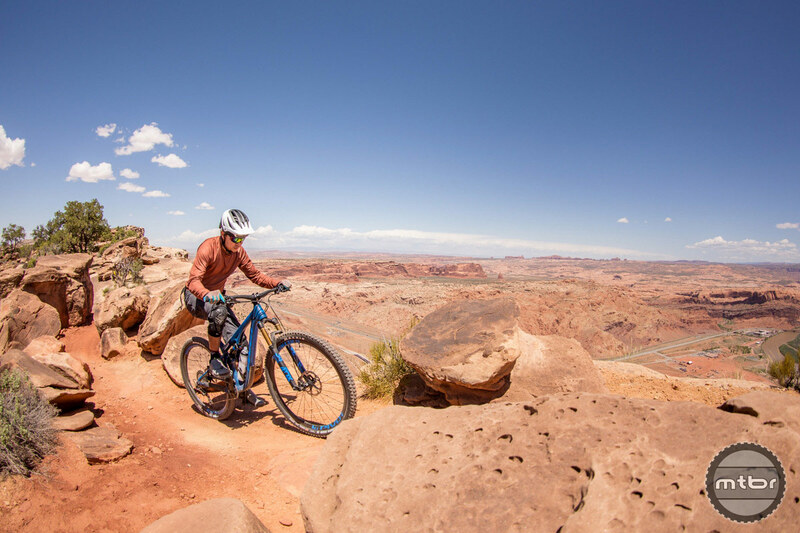 Moab has improved its products, the trails over the last decade. Ride first then talk specs later is the Pivot way. 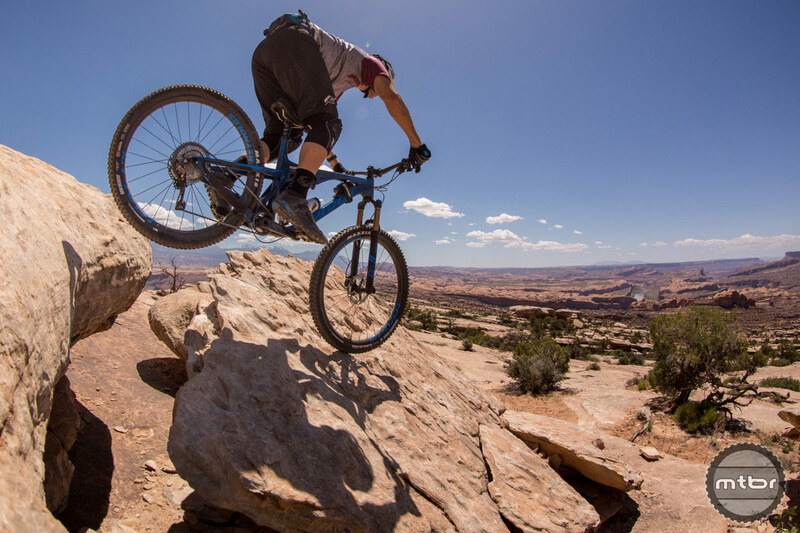 It’s a trail bike that’s not afraid to play. Two colors are available and neither is black. This is Crimson Red. 120mm rear and 130mm front on this trail bike. Carbon Reynolds wheels on this bike are light and very sturdy. The rear DPX2 is so neatly tucked in. Cable routing is convenient and secure with covers that clamp down on the cable. The critical bottom linkage is about an inch wider than before. 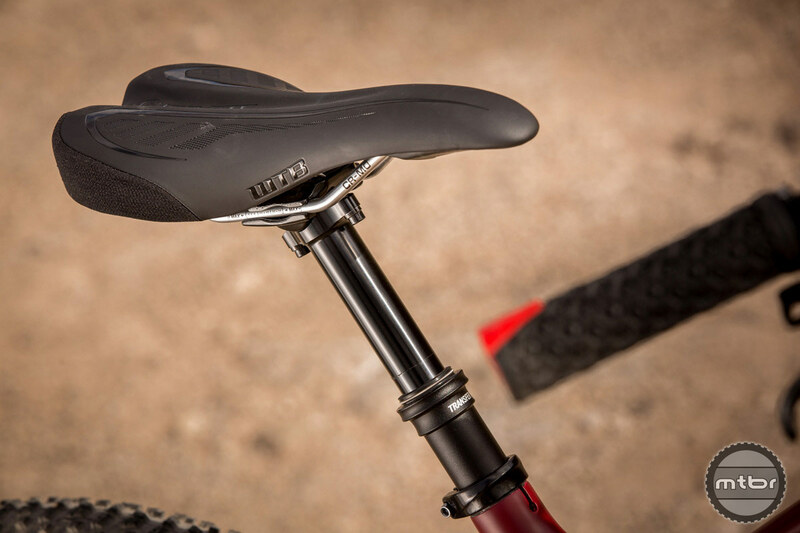 Saddle is a very comfortable WTB made for Pivot. 6.4 pound frame? Holy hernia Batman. About the norm for lower end carbon frames these days. My Spider is the same. I was thinking the same thing. Seems journalism experience may no longer be needed. And no editors any help either. How about elaborating a little on why DI2 is no longer incorporated (because it failed miserably) when you bring it up and hint you can drill the frame out if you want (can you say warranty issues???). How about talking about why anyone would want SuperBoost on their new $5000 bike. A all-around terrible article!